The simple facade of Regent Berlin doesn’t quite prepare you for the opulent hotel that lies within. 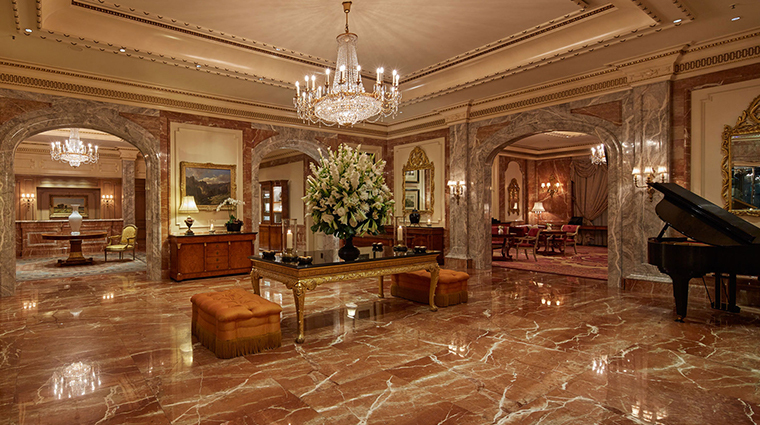 To pass through the revolving doors is to find yourself inside a stunning lobby dripping with marble on the floors and columns, majestic crystal chandeliers, gilded accents and traditional Biedermeier furnishings. 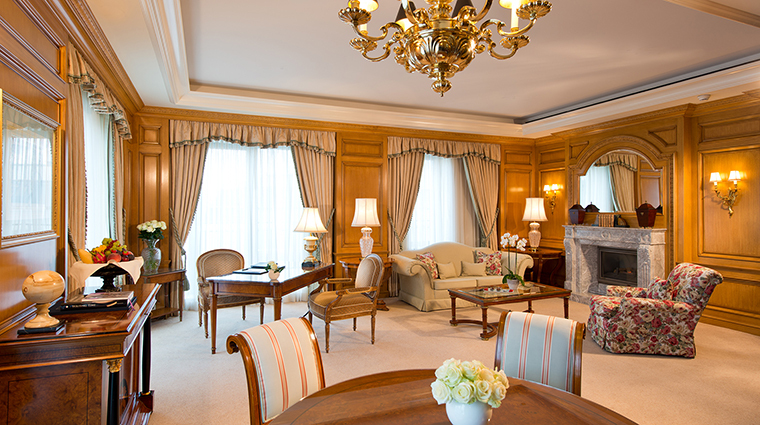 The Regent’s timeless mix of marble, antiques and original artwork make it feel special. Near the lobby is a sophisticated lounge area and an outdoor courtyard, popular in summertime for drinks and dining. You’ll also find an elegant cocktail bar and the newly opened restaurant Charlotte & Fritz. 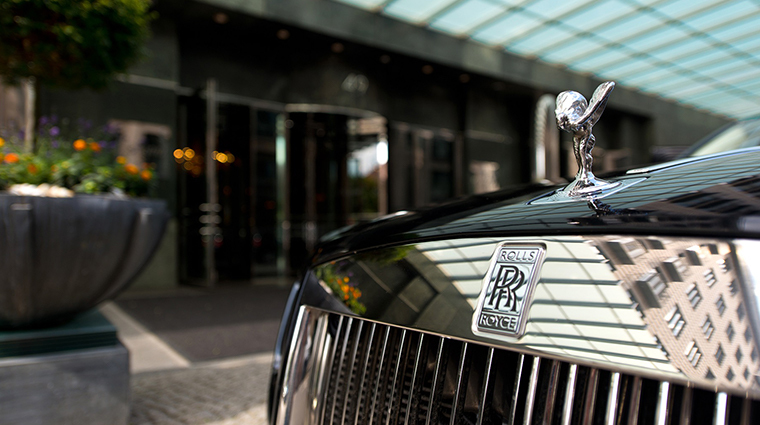 Ever discreet, the staff provides services that include ice-bucket refills, overnight dry cleaning, twice-daily housekeeping and valet parking as standard. 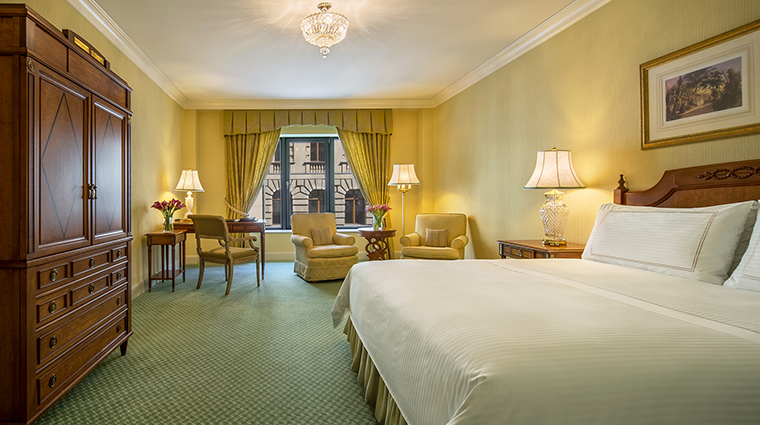 The luxury hotel is distinctly family-friendly, too — kids enjoy reduced dining rates and special menus. The Gendarmenmarkt, one of the city’s most attractive and iconic squares (look for two domed cathedrals and a handsome concert hall) is outside the front door of the classic hotel, which is located in the historic Mitte district. During the summer months, the Regent Bar expands to the open courtyard where seasonal cocktails are matched to a casual menu and the occasional weekend barbecue. Regent Health Club is every bit as turned out as the rest of the Berlin hotel and features rich wood paneling and quiet, supremely comfortable places to relax. See something you like during your stay? 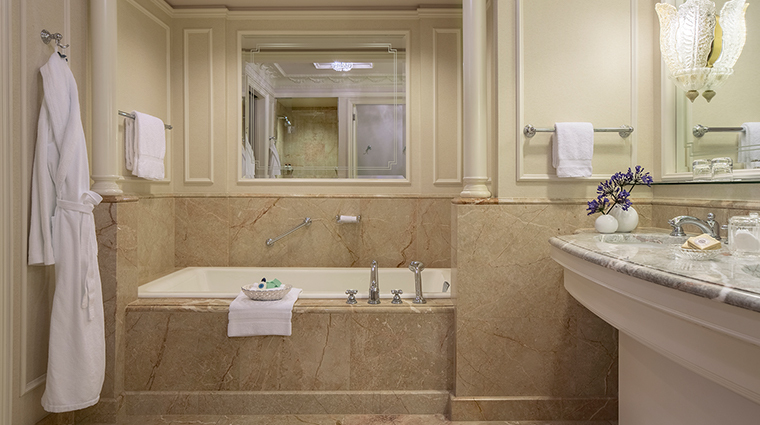 Select products found throughout the Regent Berlin, from the plush bathrobes to the exclusive wine glasses used at Charlotte & Fritz, can be purchased online on the hotel’s website. Four-legged friends are welcome at this luxury Berlin property. Let the staff know in advance, and they’ll prepare food and water bowls in your room upon arrival as well as house-made dog biscuits. 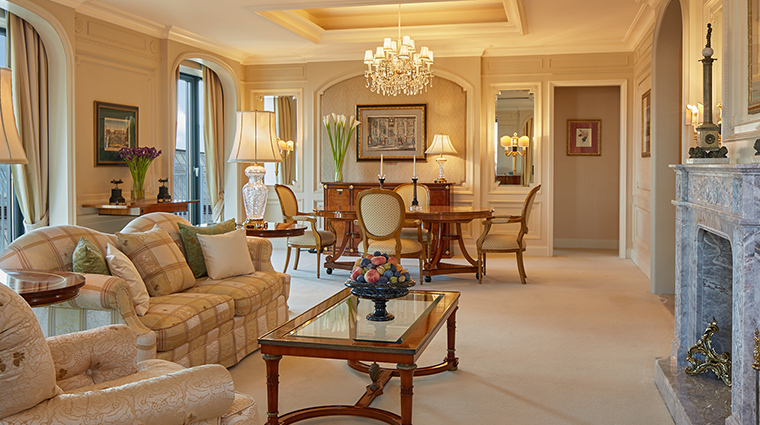 Famed bustling boulevards Friedrichstrasse and Unter den Linden are both just around the corner, offering high-end dining and upscale shops at every turn. Key cultural sights like the Brandenburg Gate, Reichstag, Checkpoint Charlie and Museum Island are all a short walk away. 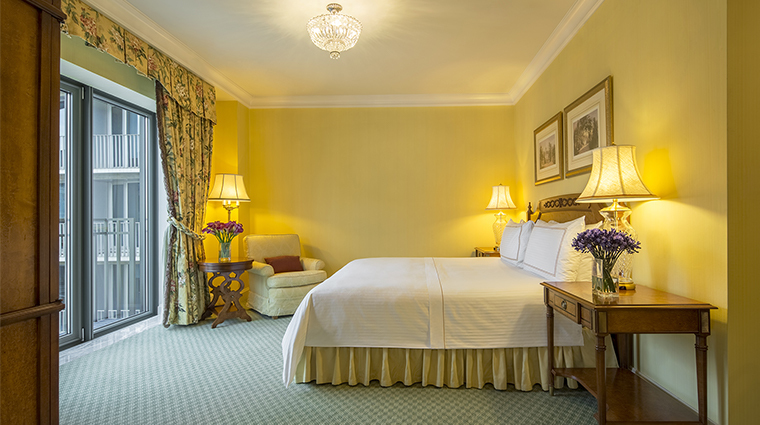 The rooms and suites are decorated in warm, soft colors — think peach, ivory and green — and come with large comfortable beds and tasteful furnishings such as upholstered armchairs and antique desks. 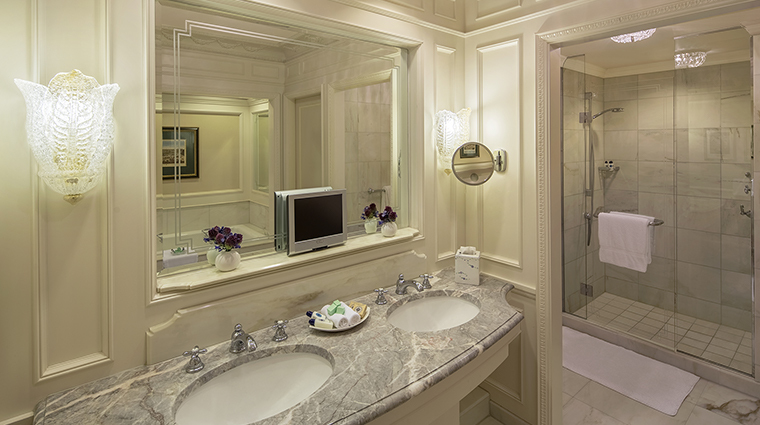 All have generous marble bathrooms that feature walk-in showers and deep tubs and modern amenities like DVD players and flat screen TVs. 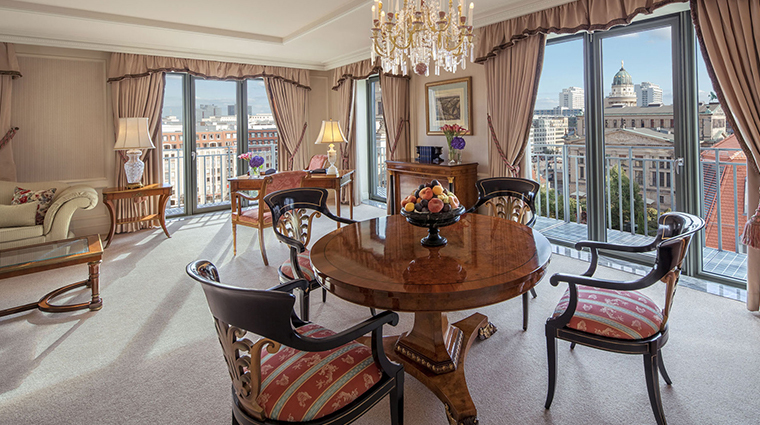 Deluxe rooms and suites are bigger and higher up; request a corner suite for the best views across Gendarmenmarkt, or one of the Premier Suites for a little extra space (about 1,700 square feet). The newly opened Charlotte & Fritz presents a more casual concept than its acclaimed predecessor, serving up regional cuisine with a focus on locally sourced meats. Highlights include an ox cutlet for two (carved tableside), Brandenburg chicken breast, and a cheese course featuring a raw-milk selection from Berlin’s own Fritz Blomeyer. Toast your next special occasion at Charlotte & Fritz’s Centrepiece Table. A collaboration with Veuve Clicquot, the exclusive seat affords you a special four-course, champagne-paired menu — the tasty result of chef de cuisine Jörg Lawerenz and sommelier Andrew Conner’s talents. The neighboring Regent Bar, all sumptuous leather chairs and wood paneling, has a gentleman’s club feel that’s so welcoming in chilly weather. 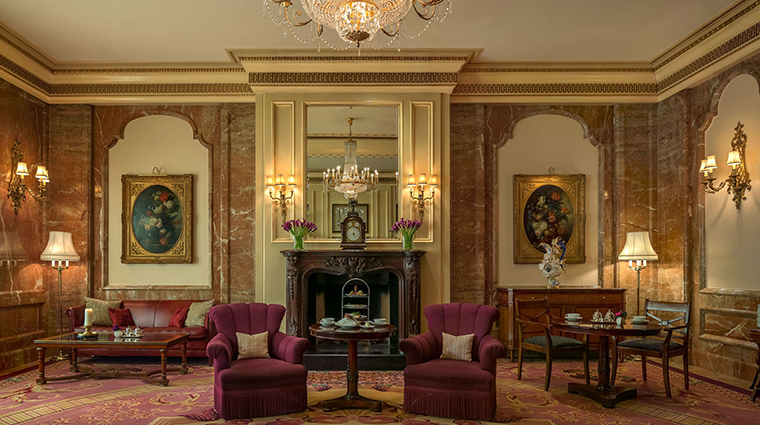 The elegant Lobby & Tea Lounge serves sandwiches and lighter meals throughout the day.